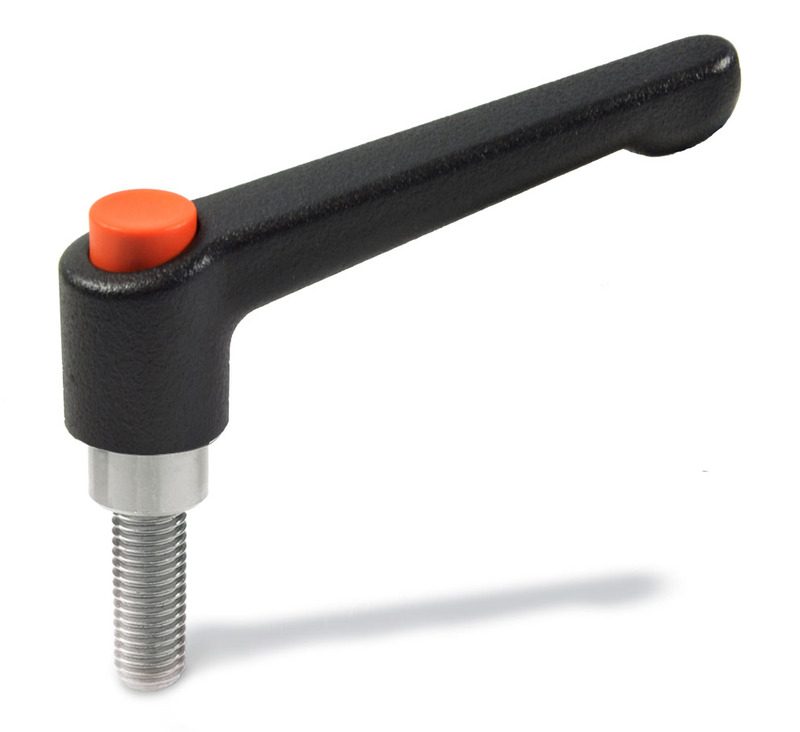 Adjustable hand levers with push button have proven to be ideal wherever parts have to be clamped in a confined space or in a particular lever position. 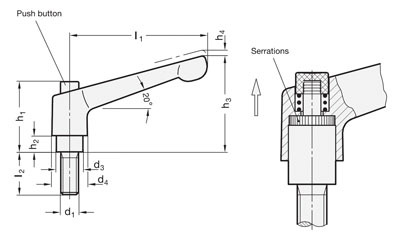 The insert is connected to the lever via serrations which can easily be disengaged. The releasing button is a design element and allows for effortless release action. However, this design is limited to applications that do not require the lever to be disassembled. Shiny black finish levers and other special colored levers available upon request. Additional modifications including plain bores, tapped threads and special stud lengths are also available upon request. Also available with an orange lever and black button.